Brisbane is the largest city in Queensland, and a major centre for business, education and recreation. 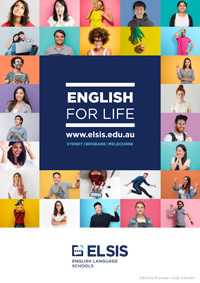 With a sub-tropical climate and open learning environment, it is an ideal place to begin your Australian adventure. One of Brisbane’s most appealing traits is its beautiful weather. With the state’s slogan being “Beautiful one day, perfect the next”, it is little wonder why Brisbane has become one of Australia’s most attractive places to live and study. Brisbane offers many doctors and dentists to choose from should you need to be treated. There are also chiropractors, physiotherapists, podiatrists, dieticians, optometrists, Chinese medicine, natural therapies, and many more specialists. A very useful tool to help find any of the services you require is the yellow pages website (https://www.yellowpages.com.au/). The most popular festival in Brisbane is The Ekka which is held in August each year and runs for about two weeks. There is also the famous River fire festival along South Bank Parklands which lights up the Brisbane River with its spectacular fireworks display. The Caxton Street Seafood and Wine Festival always brings the streets alive, which is full of entertainment, fresh seafood and a great place to make new friends. 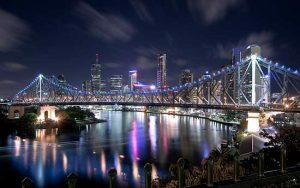 Some of the most popular places to visit in Brisbane include City Botanical Gardens, Roma Street Parklands, Steve Irwin’s Australia Zoo, Mt Cootha and of course the beautiful Gold Coast (which is only a 45-minute train ride away). Brisbane’s public transport network is very extensive, comprising of train, bus and ferry services. This includes the free City Loop Buses, and are all easily connected by purchasing a GoCard via Translink. By downloading the Translink app, you can also receive real-time updates about when the next train, bus or ferry will arrive. However, Brisbane locals are known for their love of the great outdoors and cycling is a big part of life. The roads have been modified to include cycle paths and there are also various cycle paths around Brisbane. In addition there are also City Cycle terminals where you can hire a bike and leave it at another cycle centre of your choice. For more information please visit Department of Transport and Main Roads website.